My roots are Austrian on both sides of my family and periodically the old country calls me home. Although I consider myself 99% American, I still fondly remember the first five years of my life in Graz, Austria. My German is still fluent, a skill which has been honed by frequent telephone calls with my half sister Rosi and cousin Ingrid, as well as daily emails with the extended family. I found a great airfare offered by Northwest ($418 roundtrip) and took off on short notice to see my extended family for one week. 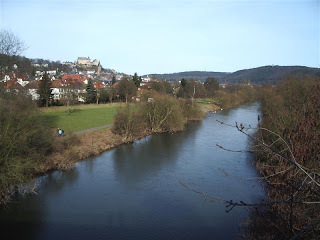 My week was spent visiting with Rosi and her son Roger in Marburg, her daughter Gabi and boyfriend Andreas in Wurzburg, Germany and Ingrid and sons Horst and Gernot and Tante Erika in Graz, Austria. 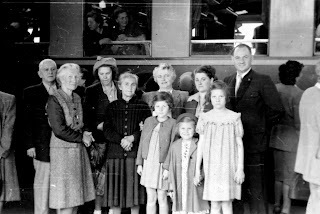 When my family left Graz in 1952 no one knew if they would ever see one another again. The scene at the train station was heart-wrenching. 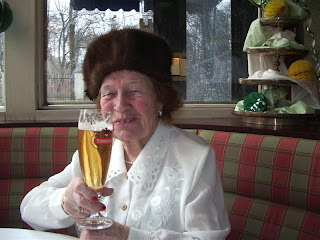 My grandmother was invited to go with us, but chose to stay behind. My mother was able to see her only one more time before Grandmother passed away 13 years later. Can you tell which one is me? 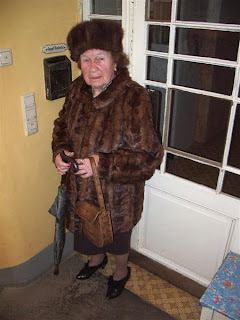 I have an elderly great-aunt in Graz, my only living relative on my mother's side, who is 94 years old and still living in the same apartment purchased by her parents 100 years ago. 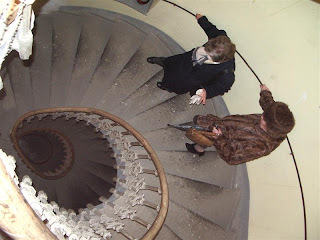 She lives on the top floor of the building and traverses 72 stairs of a winding circular staircase at least once a day. She never leaves her apartment less than dressed to the nines. When I was there, in my honor she said, she wore black heels with fur trim. 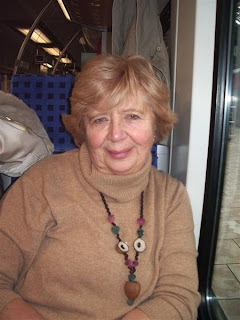 In Graz I was blessed to be able to stay with Ingrid and her twin sons Horst and Gernot. They are famous in Austria and biking circles for their extreme bicycling and mountain climbing exploits. They ride up the tallest mountains of the world with their bikes and then climb the rest of the way to the summit without stopping. They have done this on Mts. 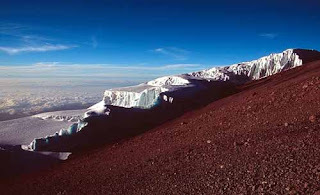 Kilimanjaro in Africa, Alpamayo and Huascaran in Peru, and the highest mountains in the Andes, among many others. In 2005 Gernot won the title of best Austrian in the Race Across the Alps. This year they received certification from the Guinness Book of World Records breaking the record for the number of metres climbed in 24 hours. The two climbed exactly 20,049.9 metres in less than 24 hours. 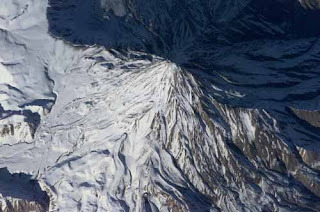 Later this year they will tackle Damavand in Iran, the highest mountain in the middle east and Kilimanjaro again. Thirteen years ago I discovered that I had a half sister living in Germany. Since that time we have visited each other many times and I have become very close to her and her family. As big a shock as it was when we found out, it has proved to be a blessing to both our families that we have found each other. We could have gone our whole lives without knowing that our Dad had been married before our mother. Rosi and I determined that since we missed out on knowing each other most of our lives, we would not let a year pass without getting together. 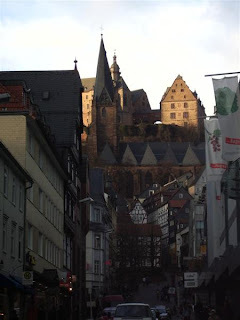 She lives in the medieval university town of Marburg. The castle, around which the town was built, is visible high on a hill from all points in the surrounding area. 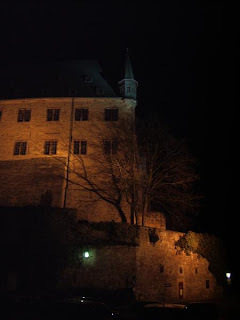 One night, Rosi treated me to a Renaissance music concert at the castle. I started every morning walking for an hour in all directions from her apartment. Germany has fantastic bike and walking paths, which make it very easy to incorporate exercise into one's daily life. I'd love to do that at home, but it's impossible for me to get to work by walking or on my bike, since there are no bike paths. 6. I'm thankful I live in country where most people believe in God. The pervasive, atheistic lifestyle is oppressive and empty to me. *People are discouraged from using their cars. First of all, gasoline is about $7.00a gallon. Secondly, parking in the city is exhorbitant and restrictive. As a result people use the train, streetcars and busses to get around in all kinds of weather: snow, cold, sleet, rain. That is one reason people buy groceries daily. They simply are not able to carry many bags of groceries when walking. When traveling with luggage many train and bus stations in older towns do not have escalators or elevators. The convenience of wheels on luggage is a mute point when you have to carry your bags down one set of stairs, go under the tracks, and carry them up another set of stairs to get to your train. To get on the train, sometimes there is a big gap between the platform and the train steps. Let's just say "handicap accessible" is not a big thing yet in Europe. **I don't want to give the impression that Europeans are rude, they just seem to be self-absorbed and in their own little world. Perhaps this is a symptom of living closely together in the city. Here at home if a woman were struggling with two suitcases while attempting to board a train, people would be helpful. In my case, no one even offered to lift to give me a hand during my travels. At one point, while I struggled with my big suitcase my carryon slipped out of my grip on an escalator at the airport. Everyone stepped aside as it slide past them down the stairs to the bottom, while I looked helplessly on from above. 1. The lack of options in Michigan for walking and biking to where we need to go. I don't want to ride my bike to work on the street. 2. Good bread, fresh daily from the local bakery on every corner. 3. Heavenly beds with whisper soft down quilts and pillows. 4. Beautiful scenery, ancient architecture and mountains!